As my dear readers know, drawing connections between anime and other works–whether it be Arpeggio of Blue Steel and the Bible or Beowulf and Grendel with Shiki–stands as one of my favorite hobbies. But, anime more often references itself, and part of the joy of watching anime is discerning various allusions and appropriations within the medium, e.g. Kill la Kill and Blazing Transfer Student. Rather than destroying creativity, such borrowing can add to the intellectual pleasure one gleans from a story by creating another perspective. Classical authors, for example, did this all the time–even in fashions which would be thought of as plagiarism nowadays–and were admired for it. No one is going to toss aside a copy of Virgil’s Aeneid, complaining that Virgil borrows too much from Homer! What is considered most original is often just a refreshing combination of old ideas. This understanding of creativity applies very well to the character Esdeath, who combines various traits which may be seen as contradictory. While musing about Esdeath’s character, I pondered whether she had any equivalents in anime. I found various similarities in other characters: Erza Scarlet (overwhelming power), Shishio (Social Darwinism), and Maestro Delphine (contempt for the weak and poor). However, these all have one or two similarities to Esdeath rather than approximate personalities. Esdeath may still be considered sui generis. 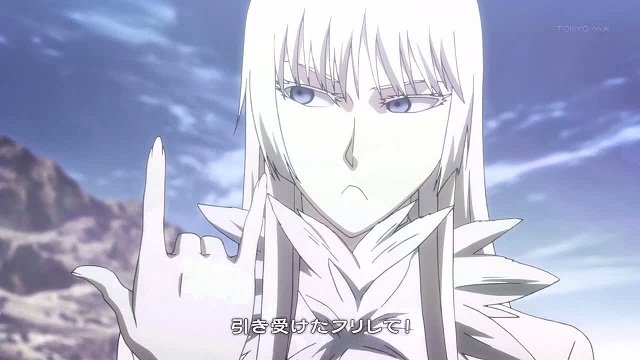 However, I have hit upon a character who shares many similarities to Esdeath. She has so many parallels to her that the direct contrasts in their characters just further highlight their connection. I’ve kept my dear readers in suspense long enough! 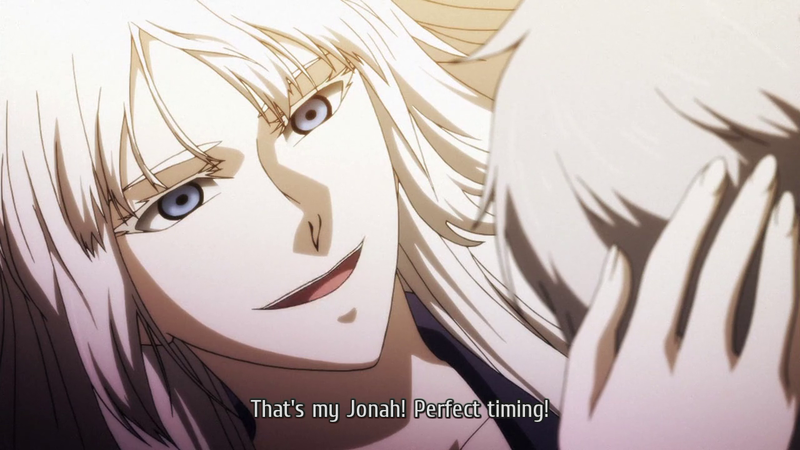 This character is Koko Hekmatyar of Jormungand. Of course, the first thing one notes is the similarity of their features: pale complexion, blue eyes, and frost-colored hair. (A quick google search shows that I’m not the first to notice this, but I don’t think anyone’s written a proper article on the two yet.) Koko hails from Sweden, and Esdeath was born in the northern climes of the empire. 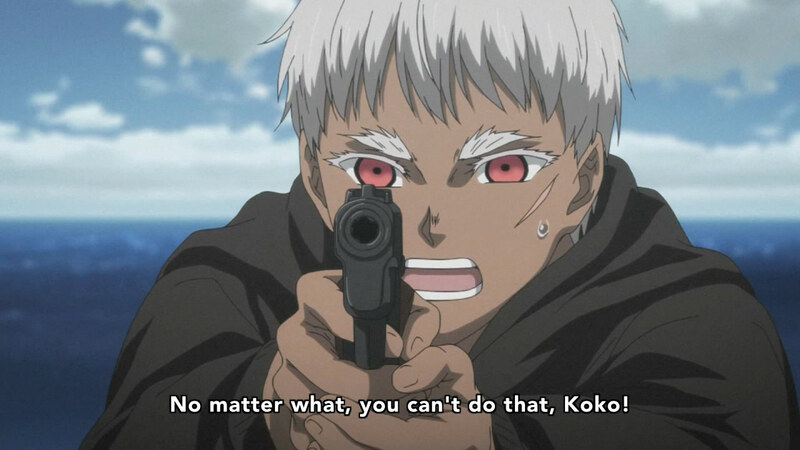 Both lead a squad of highly trained soldiers and become very attached to males younger than they are–though, it must be confessed that Koko’s passion for a child soldier is more creepy. They are also highly attached to their subordinates–even when they discover that their subordinates have failed or betrayed them. With those similarities out of the way, the real fun begins. Koko, a merchant of death, sells weapons for the sake of world peace. 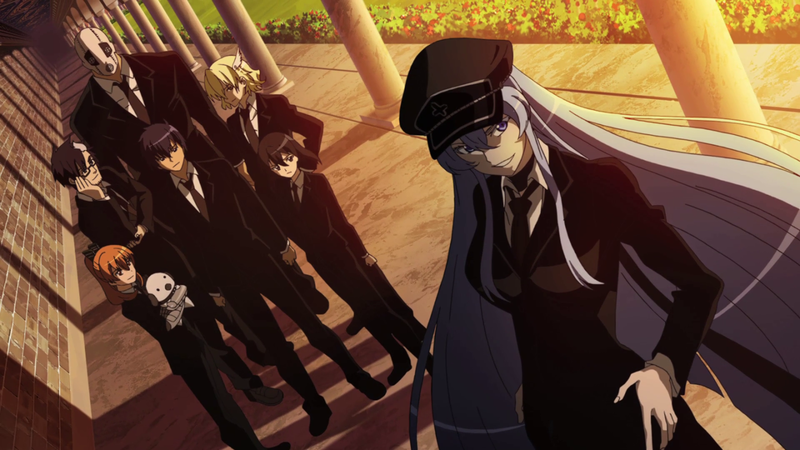 Esdeath, a suppressor of rebellion, uses her office to incite the whole empire to war. Both have no qualms about using insane methods to achieve their goals, as the lives of unknown human beings mean nothing to them. This disregard for the value of human life drives both Tatsumi and Jonah away from their love interests–and it remains a question whether the former shall escape his love interest’s madness. Into their respective plans, however, a wrench named Cupid is thrown. Love threatens to undermine both their schemes and worldviews, and the conflict revolves around whether they shall suppress love for the sake of their misguided goals or shall amor omnia vincit? Both seem unbending, yet Koko bent to the desire of her beloved. Will Esdeath do the same or is her heart too hard? Well, you need to read the manga in order to find out! 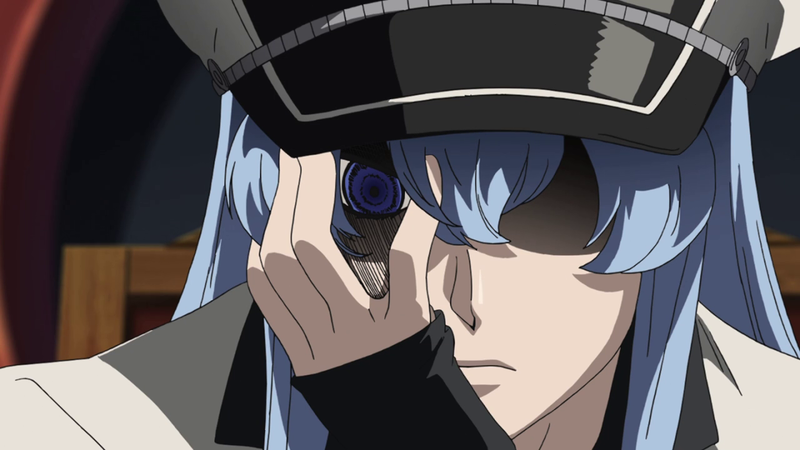 At any rate, do you think that I make a good case for Esdeath being based on Koko? This entry was posted in Anime and tagged Akame ga Kiru, anime, Arpeggio of Blue Steel, borrowing from other anime, commonalities between characters, Erza Scarlet, Esdeath, Jonah, Jormungand, Koko Hekmatyar, Maestro Delphine, similarities, sui generis, Tatsumi. Esdeath will change. she has to! killing her or making her push away from tatsumi is as good as sinking the whole thing. all we need is for Mien to be ‘dealt’ with and esdeath to push on! I don’t know if Esdeath will change. Her very intractable personality stands as one of her greatest flaws, and it will be very easy for that to become a tragic flaw. *Spoiler Alerts for those reading the comments section who are not following the manga. * I am one of the persons rooting for Esdeath to change, but I did believe that Tatsumi falling for another woman would make this impossible. And should Mein die, Tatsumi might react very negatively to Esdeath’s amorous advances, even if she has nothing to do with her death. But, I do think Mein will die. After all, that soothsayer said that they would not have a happy romance. As for Esdeath, I do think that she might die also, but it will be a redemptive and self-sacrificing kind of death. At least, that’s how I see it now. 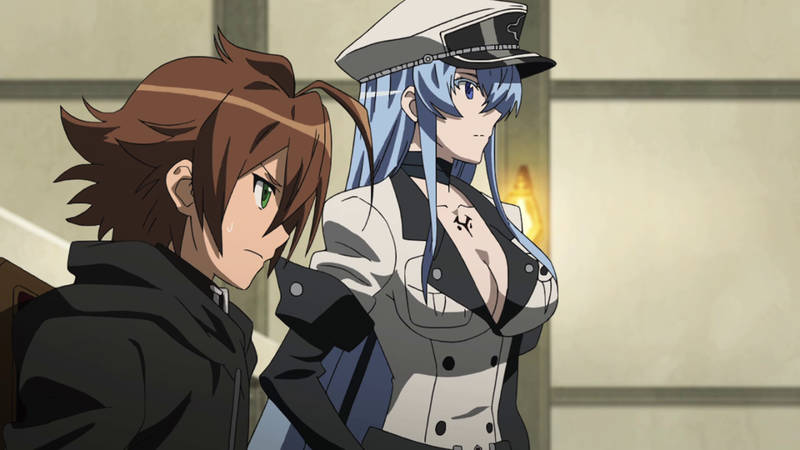 If Esdeath is able to erase bad karma in the future (especially if she decides to help Tatsumi to escape after all), a happy life with Tatsumi might be possible–might be. the whole ‘will she? wont she?’ is definetly one of the more captivating parts of the story. it seems unlikely as of now but going through the entire manga and seeing all the subtle hints of just how affectionate she is to tatsumi may pay off soon. as you said, even if mien where to die (which i both believe she will and, unfortunately, hope for Esdeaths sake), even if Esdeath has nothing to do with it, which i also hope, he would still need time to get over it. that makes bols advice of ‘never give up’ and ‘its all about waiting and finding a new chance to strike’ seem like something on those lines will happen soon after miens death. i believe the mangaka is trolling everyone by making her so affectionate and then making her seem so cruel in the last chapter. he keeps writing it so there is sufficent evidence to suggest she’ll only get worse, but at the same time there are small glimpses that she could be better and change. not to mention the mangaka has made several Visual Novels like Majikoi and Tsudijo San road sereie where there are several over powered battle loving women who turn docile as soon as they are in a relationship but still retain their strength and battle lovingness, just to a lesser degree. i also hope for a happy esdeath end, though the tone of the manga may say otherwise, she, tatsumi and akame are the ones i seriously believe and hope will see it through to the end. the rest are up for grabs. i like to think of esdeath on a simular level of vegeta from DBZ. beyong all kinds of evil but in time, turns kinder if only a little bit. i also hope esdeaths major popularity will have a role to play in her development. most forums claim to drop the seires is something bad happens to her but you never know. i also find it a bit uplifting that since the anime, she and akame have gotten more official artwork and merchandises than anyone else. even an esdeath model is going to be released in december and i think thats the firs offical one made. we’ll see. im still praying she makes the chance and gets the Tatsumi! I had heard that Esdeath was very popular, but I has not heard that she was so popular that people would stop reading the manga when she died. xD It sounds like they need to rename the manga to Esdeath ga Kiru. Though, it is curious that many people prefer the villains in this manga over the heroes. That goes to show how many grey areas the writer inserted into the series, but one wonders how deeply he thought his characters through when the villains are more well liked. Yet another curious about the anime is that many of the villains do not seem as despicable as their manga versions. For example, I don’t feel as much animosity toward the anime Dr. Stylish or Ubiquitous, but I rejoiced to see their demise in the manga…Actually, I was still happy when Dr. Stylish met his fate, but it’s hard to be sympathetic towards monsters. At any rate, my three favorite characters right now are Esdeath, Leone, and Akame. May nothing bad happen to any of them in the future chapters! I’ve seen both series and one of my characters is favortitos koko and truth Esdese I also love and if you have several similitures, sure why I like it, as to what joha and koko is very different from what is Esdese and Tatsumi , koko do not see it as much as his beloved at the moment if you kiss and that but takes him so seriously suppose joha by age but is someone who has closely. I very much enjoyed these series also! 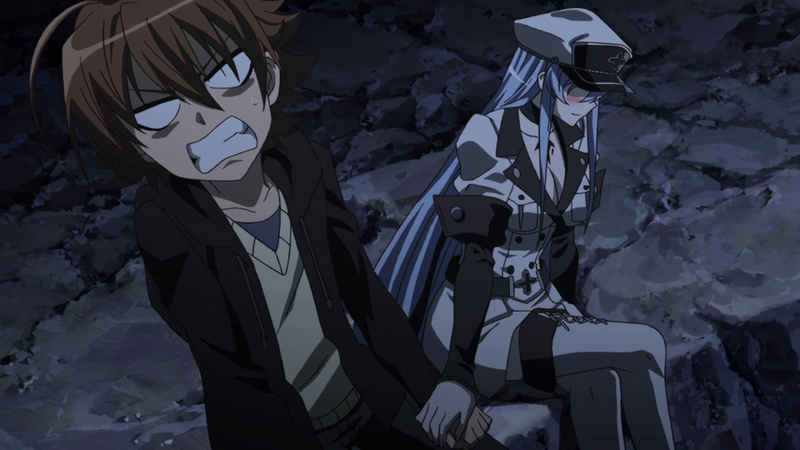 There are a few differences between Koko and Jonah’s relationship and then Esdeath and Tatsumi’s. But, their relationships contain so many more similarities than differences that I had to comment on it. I love how you put this. The whole idea of strict copyright and utter originality is incredibly modern as a value. It certainly is. “There’s nothing new under the sun,” as Ecclesiastes tells us. And the thing about outright plagiarism instead of tasteful borrowing is that most people catch onto outright theft and don’t support such a story. For example, I don’t think a copy anywhere exists of the novel which plagiarized Don Quixote; though, Cervantes has fun mocking this work in his second book. Characters like Esdeath interest me because they line up more accurately with my actual experiences. I am lucky enough, possibly, to have either never met a truly evil person or to have met one, but this doesn’t really stop him from being ridiculously enjoyable to be around. Most of the people I’ve met are instead evil under certain conditions and at certain times. They perform evil actions on occasion, but it’s hard to say that they themselves are completely irredeemable. One of my closest friends also happens to be a clinical sociopath, whose grace and love extends to only four people— And everyone else is basically either a non-person or some element required for one of those four people’s happiness. She is not a criminal, nor really all that dangerous in the physical sense— Her heart is like a furnace of warmth, for the people who get the privilege of sitting next to it. Is she “evil?” Good question. But back to Esdeath. 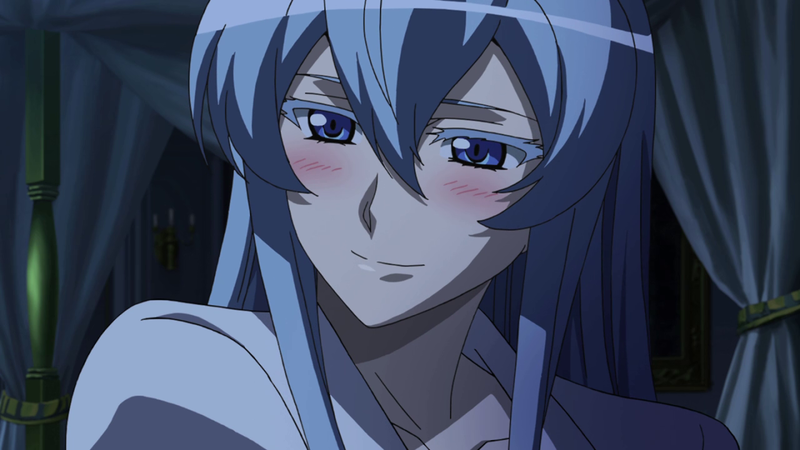 Esdeath being able to passionately love Tatsumi and kill and torture people the next day doesn’t really strike me as a weird or contradictory trait, precisely because Iove and empathy aren’t actually the same thing. People seem to think you need the latter to have the former, but the reality of it is more complicated. Love is completely independent of empathy, which can actually cause particularly un-empathetic people to do something for a loved one that the loved one blatantly wouldn’t want them to do (Victor Freeze, anyone?) Lord Voldemort, the most evil character in a long history of evil characters, really cared about that snake, probably the only thing he ever loved— Enough to turn it into a Horcrux. Although he was unaware of it. Love is one of the great unassailable mysteries. You can even love and hate the same person, almost at the same time. I’m not sure that exactly lines up with religion, but it lines up with the reality of a fallen world. The topic of how sociopaths relate to morality is quite interesting. It’s almost as if their lack of moral emotions clearly shows the sovereignty of the will. The will is so free that a human being could refuse to do evil even if all of Hell banded together to tempt him. Conversely, even with the support of all the angelic choirs and the saints and the superabundant grace of God, a person could still refuse to do good. (The Calvinists have the concept of irresistible grace, and so don’t believe that; but most Calvinists don’t believe in free will either.) Though, experience does show us that people often fail in the heat of temptation and do good most readily when it comes easy to them. In general, as Aristotle tells us, most people are born with certain moral inclinations and have been educated into good habits which allow them to steer clear of certain faults; but, they lack the will to become truly virtuous. Their conscience is stung when they do something bad, but they get over that feeling and neglect developing the virtue to overcome that sin. These people are lukewarm, which is a bad place to be: “So because thou art lukewarm, and neither hot nor cold, I will spew thee out of my mouth” (Rev. 3:16–Makes an odd pairing with John 3:16, doesn’t it? Faith and works! 🙂 ). We hope that they become stung in their consciences enough times so that they even sluggishly start on the road to virtue. Love and empathy may not be exactly the same, but the latter is an excellent help to love. One might divide love into active and passive love. The latter is how we first come to love anything: our affections draw us toward the beloved or, on an intellectual level, we delight in the thought of the beloved. Empathy might be one kind of passive love, which draws us to pity a weak or suffering creature. The mercy we show toward that creature counts as the active form of love. It is possible to act lovingly without feeling love or vice versa, but the combination of active and passive love is the most perfect. The above we can understand rationally, but there is certainly something illogical about passive love. What makes us love? What mechanism inside of us makes us want to sacrifice for other people? We know that loving others is right and normative, but we don’t know how love operates inside us. Therefore, Socrates called love “divine madness,” for it is a gift which comes outside ourselves. Deo iuvante, we shall learn more about the mystery of Love for a happy eternity. That’s one of the great ironies of man, and it’s more ironic when the most corrupt of the lot are the ones who appear to have been most blessed by God. Thank you! I certainly enjoy our conversations also, and I’m glad to share the fruits of my reading. What if Esdeath will change only to the Worse?Or what if will die keeping the hatred on Tatsumi?Maybe both! ?…Have you ever seen the ending on the “War of the Roses”? I do think that Esdeath has changed for the worse. The redemption I hoped for hasn’t happened, and she and Tatsumi strike me as irreconcilable. Oh, well. Few series go exactly as one hopes. I haven’t heard of the show War of the Roses. You’ll have to send me a link. It’s a movie with Michael Douglas,mid 80’s,where Danny DeVito narrates to young man a family tragedy he witnessed by real close,since he was their friend.It began as a romance,it ended tragic. The War of the Roses,fella. I suggest for you to see it only if you’ll feel prepared.Thanks. Thank you for the recommendation! I’ll keep it in mind.